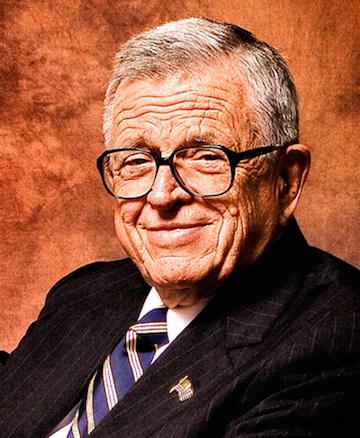 Chuck Colson was one of the most influential leaders of our time. Born in Boston, MA, he earned his B.A. at Brown University, and J.D. at George Washington University. He served as Special Counsel to President Richard Nixon from 1969 to 1973. Colson gained notoriety at the height of the Watergate scandal, for being named as one of the Watergate Seven. His 1973 conversion to Christianity was followed by a guilty plea to obstruction of justice in 1974. That same year, he served seven months in the federal Maxwell Prison in Alabama as the first member of the Nixon administration to be incarcerated for Watergate-related charges. In his search for meaning and purpose in the face of the Watergate scandal, Colson wrote his first book Born Again. This memoir shows a man who, seeking fulfillment in success and power, found it, paradoxically, in national disgrace and prison. The book was released in 1976 and instantly became an international bestseller. He has written over 30 books that have collectively sold more than 5 million copies worldwide, including Justice That Restores; How Now Shall We Live? ; Burden of Truth; Answers to Your Kids’ Questions; The Good Life; Gideon’s Torch; Why America Doesn’t Work; Kingdoms in Conflict; Loving God and many others. The phenomenal growth of Prison Fellowship Ministries led Colson and some 50,000 volunteers to serve the needs of prisoners in over 88 countries. In addition to Prison Fellowship, he founded Justice Fellowship, Neighbors Who Care, and Angel Tree. Angel Tree is a program that provides Christmas presents to more than 500,000 children of inmates annually. Colson was also a syndicated columnist, international speaker, and commentator on the nationally syndicated radio broadcast BreakPoint. He received the prestigious Templeton Prize for Progress in Religion in 1993 and donated the $1 million prize to Prison Fellowship’s Endowment Fund. 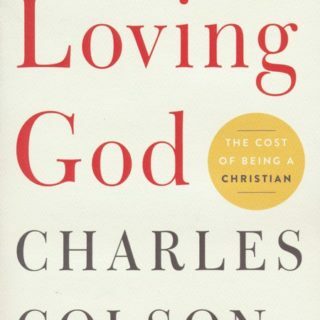 In his later years, Colson turned his heart and mind to developing a Christian worldview, and to training a new generation of leaders to renew the church and revitalize the culture. “The whole object of the movement is to penetrate culture. The frontal assault over the last several years has proven inadequate. What we must do now is be salt and light, rubbed into the culture so to speak, in such a way that the people and institutions around us slowly begin to understand that they have embraced the Lie. Our job is to expose the Lie and replace it with the Truth of a biblical understanding of all of reality.” The Chuck Colson Center for Christian Worldview is the cornerstone of that movement.